Workplace mediation can prevent conflict at work leading to disciplinary problems or sickness absence, but awareness is low in many workplaces. Timmy Kurtuldum looks at the benefits and explains how Bart’s Health NHS Trust in London adopted the approach after a large-scale merger. Formal processes for disciplinary action in the workplace can end up being a one-way street – no turning back for anyone involved. It is a route that often means a rapid escalation of any conflict – whatever its beginnings might have been – leading to tribunals, dismissals and the likelihood of a legacy of negative feelings. There are often long-term effects on teams, managers’ careers and workplaces as a whole, including sickness absence, as individuals take time off with stress. In terms of legal fees and manager time, it’s a very expensive and damaging routine. Typically, up to 30% of a manager’s time is said to be spent in dealing with conflict. Employees and their line managers will turn to formal processes as the only option, particularly when they are under pressure and looking for immediate ways to cope, and angry enough to see their situation as only ever being black and white. It’s a situation that has become more common in recent years in the wake of recession and the demands on organisations of all types to re-model themselves in line with austerity, economic realities and the disruption of digital technologies. The resulting redundancies, and shifting workloads and responsibilities, have led to tensions, not always immediately visible, but building up in the background between individuals and whole teams. And where is the outlet for the feelings of injustice and frustration? For the most part, employees don’t want to be seen as the origin of the conflict, or increasingly, of any kind of negativity in the context of an organisation already dealing with enough problems. There is an alternative model that can short circuit the negative currents of conflict for employers. Workplace mediation provides a simple, informal but structured method of avoiding any serious dispute cases. It has been in use by employers for more than 30 years, but only at low levels and continues to be something of a less-known option. The approach can come in different forms, but the essential strengths are that it is a step removed from formal processes, that sense of there being “no way back”. Mediation is voluntary for both sides of the conflict. It is also informal, the process is owned by the participants, and the stages involved can be flexible. Importantly, the non-threatening nature of mediation means it can be introduced quickly and early on before a dispute becomes more serious. It can also still be used even if formal procedures are already under way. Workplace mediation can be delivered by internal staff trained in mediation techniques working alongside an experienced mediator – but often the approach is most effective when professional mediators are used, because of the complexity and sensitivity of issues, as well as the need for a guaranteed impartiality and confidentiality. An external perspective is also useful in terms of providing a pre-mediation stage, providing an independent view on whether or not it is suitable for the situation. The standard form of mediation is a structure where the two members of staff in conflict meet the mediator individually first and are then brought together into the same room, both given a specific amount of time to have their say, uninterrupted, and then the chance to respond. Conversations are confidential rather than subject to official record. It is not a mediator-led process. The mediators are not looked to for judgement or answers, but only to facilitate a conversation in a safe and respectful environment, a sharing of different views, and to assess needs and help to negotiate ways forward. In this way, people who had seen themselves as being at polarised positions can start to move together and deteriorating relationships can be rebuilt. The structure helps to drain harsh emotions and restore some balance. There is always a focus on moving on from what’s happened – that’s all consigned to the past – and what can happen in the future, what’s possible in terms of cooperation. Participants need to be encouraged to be as honest as they can and to avoid exaggeration, which can be unfair to the mediator who is relying on working on a basis of the truth. Where the initial situation doesn’t allow for this kind of open conversation, organisations can use shuttle mediation – employees don’t need to be in the same room together for the first stage of the conversation. 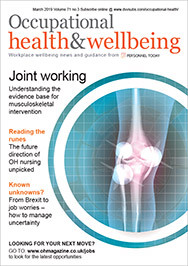 Evidence suggests that silo working, combined with organisational change and shifting of responsibilities, has led to an increasing sense of team loyalty and grievance, and as a result, an increased demand for inter-team mediation. In these cases, the mediation is based around working with individuals to explore their issues – rather than the team as a whole, where there’s the danger of encouraging more tribal and inflexible attitudes – and agreeing next steps with them before bringing teams together to facilitate a way forward. Bart’s Health NHS Trust in London – the largest NHS Trust in England, with 15,000 staff – is an example of a large and complex organisation that introduced an internal mediation process. The organisation was created in 2012 following the merger of Barts and The London NHS Trust, Newham University Hospital NHS Trust and Whipps Cross University Hospital NHS Trust and consists of six local hospital sites. The complexity of the merger, the different management structures involved, as well as the individual working cultures, loyalties and sheer scale and number of changes for staff, meant high levels of potential conflict. Where there is a breakdown of communication between individuals and teams, there is more risk of reduced levels of care for patients. Mediation was first introduced by employee wellbeing service CiC alongside the existing employee assistance programme (EAP), working closely with HR to roll out a mediation training programme. Over time, the new trust has developed an accredited, multidisciplinary team of internal mediators able to resolve workplace conflict, with the aim of reducing the number of cases being escalated to use the formal processes. The 20 mediators were selected internally across clinical and non-clinical staff following publicity in staff newsletters, magazines and the intranet. The adverts outlined the core skills needed from an effective mediator, and applicants were asked to submit a short statement outlining why they would make a good mediator, how they met the criteria of patience and empathy, and any evidence or track record of problem solving and dispute resolution. The consent and commitment of the line manager was needed. Internal mediators were put through a six-day mediator training programme, using role play, peer coaching and case study discussion, and helping managers to identify the most effective strategies for mediation in terms of stabilising situations in the short term, as well as facilitating harmony, growth and productivity for the longer term. The key to successful implementation of the programme was found to be the support of line managers to release staff when needed to take part in cases. Referrals can be made by managers, but also by HR and the organisational development team. According to its calculations, the trust found that 66% of recent cases that had progressed to employment tribunals could have been resolved by mediation. With the new system in place, it has been estimated that the organisation would save more than £200,000 a year in legal fees, as well as the saving in terms of management time (estimated at about 47 hours for each case). The managers using the approach in the early years since its introduction have seen a high level of success, and those involved have agreed it’s a positive way of working that has minimised the impact of conflict on individuals, teams and patients. The trust believes the service supports recruitment and retention by demonstrating and encouraging a supportive environment, where conflicts are dealt with in an informal and constructive way. It also helps improve productivity levels due to the reduction in time spent on cases of bullying of harassment and disciplinary hearings. And ultimately, staff not distracted by unresolved problems are more focused on their job and the patients. The ongoing challenge for the trust is to ensure there is a constant stream of interest in the mediator training programme and a good supply of new applicants. Mediation is a simple, common-sense solution. But the challenge for organisations, HR, occupational health staff and managers is more the lack of awareness of the approach. It is also an issue of confidence – who is willing to be trained as a mediator, and participate in a process where there is going to be the airing of difficult truths, and an opening up rather than a shutting down of discussion? Following existing processes is the recognised, easier option for staff under pressure and the desire to resolve difficult (and sometimes embarrassing) conflicts as soon as possible. But it can be a false economy, a shortcut to the use of far more management time and costs for the organisation, when a culture of early mediation would have seen the conflict lose its momentum and purpose. Timmy Kurtuldum is training manager at CiC. Thanks for letting us all know about this use of mediation. Everyone recognizes that major changes, especially mergers, are the cause of a lot of tension, but few people think about including mediation as part of the change management process. Nice article! 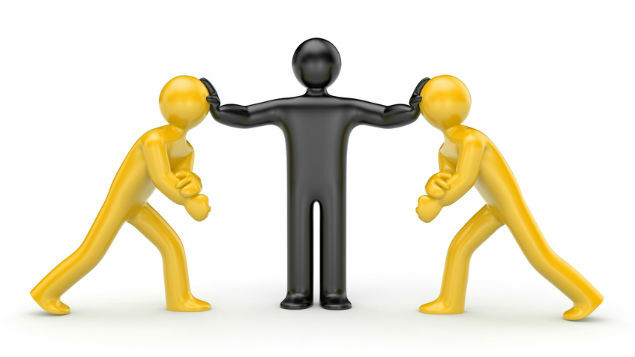 Workplace conflict resolution is not about avoiding conflicts, but finding ways of dealing with it.